RANTING ANDY – The tension meter is getting close to maxing out, as day by day we move closer to the climactic collapse of the Western financial system, i.e. the day in which propaganda, spin, and market manipulation no longer work AT ALL. On the one hand, we have the debt ceiling clusterf**k, a situation pleading for reduced borrowing, shaping up to being one of the sorriest episodes in American government history. I wrote on July 9th in “Debt Ceiling Debacle – the Death Blow to America” that the resolution of this issue, no matter what the final solution turns out to be, will be lethal to the dollar, and on July 28th in “Sunday Night Special”, that I expected a last second, hastily drawn up solution to prevent an immediate default, the end result of which would ultimately be even more harmful than doing nothing at all. However, after watching politics play out over the last few days, I am starting to wonder if anything will be resolved at all. It is hard to believe these buffoons reached the top of the political food chain, as it appears not a one of them, Democrat or Republican, has the slightest clue what they are doing, nor the ramifications of their rampaging through the China Shop (literally). Moreover, the associated commentary espoused this week is equally lacking in understanding either the underlying issues or the real motivation of the key players, namely Obama, Boehner, Reid, McConnell, and Pelosi. As I see it, there is not a SHRED of political understanding of what the real problem is (too much debt and spending), and even less motivation to HELP America, as opposed to just planning how to control it. It is truly incredible how much time was spent on the “amended Boehner Bill”, which the Democrats said beforehand would immediately be crushed in the Senate. This bill was so weak that Boehner had to delay its vote for two days in order to get REPUBLICANS to vote for it, and once it passed last night (barely, by 218-210), was immediately voted down by the Senate within two hours by 59-41, a vote which even included six REPUBLICANS voting against it! Meanwhile, Reid’s Democrat-controlled Senate was busy preparing an equally unpassable bill, one which the House Republicans stated beforehand would be voted down before it even reached a debate! And that’s how Congress spent the last two business days before the rubber hits the road on Monday. Both parties clearly KNEW these bills wouldn’t pass, so in essence they have done nothing but grandstand to make the other side look bad. First the Democrats proposed a blank check $2.4 trillion debt ceiling increase (enough to get through the 2012 elections), proposing draconian tax increases they KNEW the Republicans wouldn’t pass. Then, the Republicans proposed an equally draconian bill with zero tax increases but spending cuts so deep, they would have immediately yielded massive unrest and rioting. Again, a bill with no chance of passing. Both sides then spent the remainder of the week finger-pointing, featuring Obama’s childish speech on Monday (“Please Tweet your Congressmen”) and Boehner’s equally limp-di**ed rebuttal. Throughout this ongoing charade, the clock has ticked closer to the abyss, which sometime this week will be leapt into save a dramatic (and hyperinflationary) bipartisan decision in the next four days. This bickering has done nothing but waste taxpayer money and bring to the fore an even quicker collapse than I had anticipated, which is exactly what will happen this week if nothing is figured out soon. 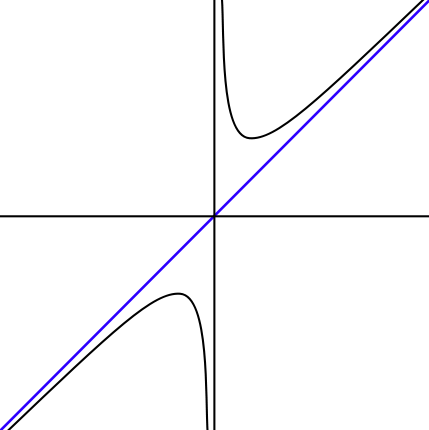 Of course, there is NOTHING left to be “figured out”, as the country is irreparably broken, with the only real “fix” being a massive collapse of the dollar, liquidation and/or write off of trillions of dollars of debts, hyperinflation, and finally an average standard living of drop of at least 50%, by my estimates. I still laugh (actually cry) each time I hear even the smart guys state “if we don’t do something quick, the consequences will be catastrophic”, as the Pollyana nature of humanity (especially those with no ability to help themselves) is to assume all can be fixed magically without CONSEQUENCES. Unfortunately, history screams loud and clear that situations like those currently faced by the U.S. and Western Europe ALWAYS end abruptly and tragically. Moreover, given today’s unprecedented levels of debt, corruption, and lack of political leadership, there is NOT A CHANCE IN HELL that this episode will be any different. That is why it is so imperative to PROTECT YOURSELF NOW from said consequences, as I assure you they will manifest themselves a lot more quickly than most expect. On the other hand, we have a literally collapsing economy, literally begging for more borrowing and spending, as evidenced by the absolutely horrific U.S. GDP data released yesterday for the first and second quarters. Despite all types of accounting chicanery to massage the data UPWARDS, first quarter GDP growth was revised from an already weak 1.9% to the staggeringly horrible level of just 0.4%. Moreover, the initial second quarter growth rate was printed at 1.3%, well below the 2.0% “consensus estimate”, which of course will also be dramatically reduced once revisions are made in the coming months. I mean, geez, the economic data in the second quarter has literally collapsed (per my July 29th RANT, “The Biggest Miss in U.S. History”), and yet we’re expected to believe the economic growth rate EXPANDED (from 0.4% to 1.3%) in the second quarter. ROFLMAO! Remember, the only reason OVERT QE3 wasn’t announced last month, in my opinion (as opposed to the COVERT QE that is clearly being undertaken), was that GOLD and other COMMODITIES were hitting new highs at the time of the June 22nd Fed meeting, a clear signal the market was expecting an immediate inflation acceleration upon any such announcement. Thus, the Fed was forced to waffle on the issue, and even go to extraordinary methods (to halt CARTEL PHYSICAL CRISIS #4, per below) such as the ridiculous, and subsequently FAILED, attempt to manipulate oil prices lower by releasing a significant percentage of the entire U.S. Strategic Petroleum Reserves. By the way, there is no need to continue adding to this table, as we have reached the asymptotic climax of the usefulness of PHYSICAL gold and silver manipulation, per my July 27th RANT, “CHECKMATE, i.e. MANIPULATION SATURATION.” Just as increases in U.S. debt no longer have ANY positive impact on GDP growth (in fact, the contrary), I believe coordinated attacks on gold and silver have reached a level of uselessness that screams to the world’s buyers to add to positions NOW, pending a near-term price explosion. And, by the way, if you are not a student of the COMEX activity of the “Commercials”, i.e. the U.S. government via its henchman at JP Morgan, HSBC, and a few other TBTF’s, they have been MANIACALLY increasing their PAPER shorts for the past month in a fruitless effort to knock gold and silver down, only digging their respective holes deeper and essentially guaranteeing a near-term short-covering debacle. The “Commercial” gold short position has been particularly stark, screaming manipulation to the entire world, including a net increase in their short position of an astonishing 81,000 contracts in the past three weeks (through last Tuesday), a period in which, irrespective, gold has risen by approximately $100/oz! All one needs to do is look at the chart below to KNOW the Cartel has been capping the gold bull market for its entire eleven-year length, as how could ANY entity endure such losses over the years unless funded by the government? Moreover, how could the supposed “smart money” spend eleven years going INCREASINGLY SHORT EACH YEAR of a bull market? GATA-trained analysts like myself know the answer to this question, but 99% of the world’s investment community unfortunately does not (fortunately for us, if you look at it from the perspective of the wonderfully discounted prices afforded to buyers. Which brings me to the topic of this week’s RANT, the upcoming GATA Gold Rush Conference on August 4th-6th in London, which I expect to be the MOST IMPORTANT FINANCIAL CONFERENCE OF ALL TIME. Below is a link to the conference website and agenda, and I am proud to announce that my firm, Torrey Hills Capital, will be represented at this historic event by both myself and our newest partner, Thom Calandra of Stockhouse fame. My education regarding the approaching financial collapse has taken place over nearly a decade, utilizing numerous sources from around the world. None of my “mentors” are in the mainstream, and frankly the most important part of my research has been identifying the SMART and “GOOD” guys in the war, as well as the DUMB and DISINGENUOUS. My earliest influences were Richard Russell, in 2002, and Jim Sinclair circa 2003 (whom I had the privilege of meeting in early 2004), but unquestionably the top source of my knowledge, and subsequent empowerment to stick with this sector through dozens of rounds of Cartel attacks, has been GATA, which I initially joined around 2003-2004. In those days, GATA was a lonely crusader in the largely shunned world of gold and silver manipulation, essentially a despised, underfunded pariah in a financial world completely devoid of scrutiny. It’s principals, Bill Murphy and Chris Powell, have built a band of “Cassandras” such as myself into a powerful “GATA Army”, and over time have slowly but surely created a strengthening platform of credibility, fortified by dozens of brilliant contributors from around the world. Most denizens of “Planet GATA” are unknown players in the financial world, but in time major institutions have come on board, led by the Americas’ #1 institutional advocate of gold and silver ownership, Sprott Securities of Toronto, Canada. 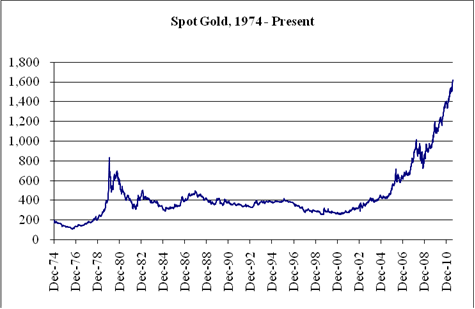 From the chart below, once can see that gold was trading at roughly $430/oz when the conference occurred in August 2005, spiking up immediately thereafter and reaching an intermediate high (capped by the Cartel, of course) of $720/oz just eight months later, a gain of nearly 70%! Moreover, per the table below, since that time the Russian Central Bank has been one of the world’s largest, and most outspoken, buyers of PHYSICAL gold in the world. At the time of the Dawson City conference in 2005, Russian official gold holdings were around 400 tonnes, compared to roughly 800 tonnes today, just six years later! And, by the way, I’m told Mr. Bykov will also be attending GATA Gold Rush this week. GATA Gold Rush 2011 will symbolically be held in London, just blocks from the London Bullion Market Association, the evil twin brother of the U.S. COMEX exchange, where incalculable levels of PAPER gold and silver fraud have been perpetrated over the past decades. The SOLD OUT conference (roughly 400 attendees) will draw extremely well-heeled and influential investors from around the world (from 31 nations, to be exact), and the list of speakers, in my view, is unsurpassed in the global financial community in terms of brilliance and credibility (see roster below). I look forward to spending the week with these luminaries, some of whom I know well and others who I’ll be meeting for the first time. President of Samex Mining Corp.
Senior Managing Director for Market Intelligence, Omnis Inc.
To conclude, the GATA Army is “long and strong”, and growing in worldwide credibility and stature each day. In my view, the confluence of global economic events and this historic conference will lead to a gold and silver price explosion this fall, yielding a gold price of at least $2,000 and silver well over $50. More importantly, I believe this surge will coincide with Western world investors finally awakening from their decade-long slumber, as relates to their apathetic attitude towards the steady, but soon to be dramatic, collapse of fiat currencies against GOLD, SILVER, and ITEMS OF REAL VALUE. THE END GAME HAS ARRIVED, and this event will play a major role in spreading the gospel of PROTECTING YOURSELF from the rapidly oncoming hyperinflation. Please be sure to follow commentaries about this conference (including mine), and if you are not aware of the views of the speakers, make sure to buy the Conference DVD’s that will be recorded this week. Have a great weekend, and get ready for unprecedented market volatility in the coming weeks as the collapsing U.S. and Western European financial situations yield surging Precious Metals demand, countered of course by last-ditch efforts by the Cartel to delay the inevitable with ALL-TIME levels of fraudulent PAPER market manipulation! 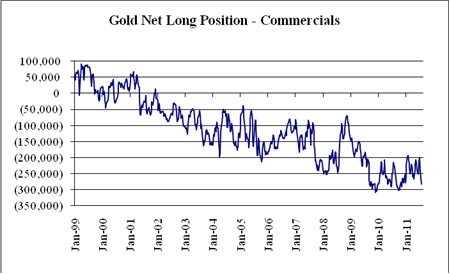 This entry was posted on Monday, August 1st, 2011 at 8:51 am and is filed under Dollar, Gold, Market Commentary, Ranting Andy, Silver, Torrey Hills Capital. You can follow any responses to this entry through the RSS 2.0 feed. You can leave a response, or trackback from your own site.